Was thinking about joining...but now i'm not sure I want to if there is a problem with downloading!! am wondering what a membership does for us. Why do they say ALL designs for 6 months and they wont let us download these. Bella3, The frog font is on the sister site. I got a free frogfontA and cannot remember the web. Thought it was you, however, I cannot find a search engine on your site. Can you help? Just the cutest font! 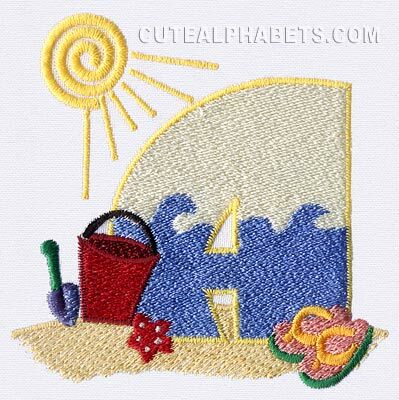 This would look great on anything we use for summer. When I have a membership why can I not download these items free? Cute!! Just the thing to use on towels for my grandchildren, lovely! !